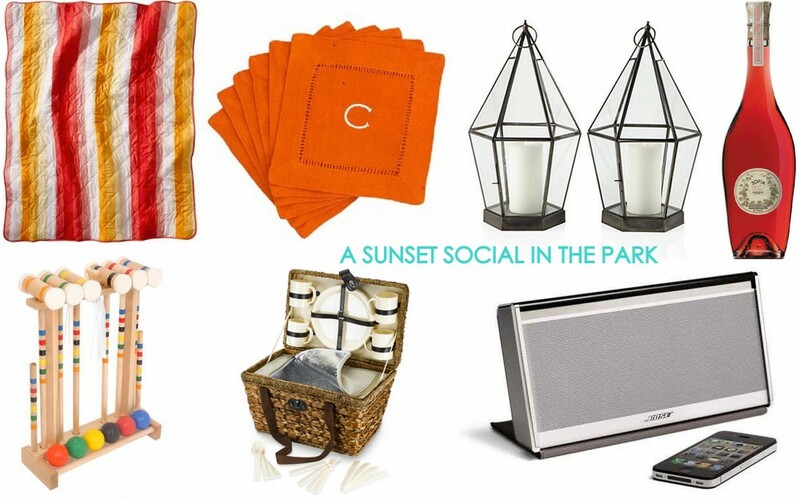 Summer Entertaining Essentials With Society Social. Hi lovers!! I’m so tickled to be here sharing my summer entertaining essentials because a good social is what I love for! I live in New York City in a shoebox of an apartment so I’ve got to get creative considering the space constraints and I think a sunset picnic in the park is just the thing for the city girl craving big social style! In this case the park will serve as my living, dining, and bar area! Cheers to you! 5 Responses to "Summer Entertaining Essentials With Society Social." I have and love that blanket – picnics in the park are the best!